Reiki is a japanese word meaning universal life energy. All living things carry the same energy within themselves which gives them life. Our body is made up of energy fields which vibrate at a rate that cannot be seen by us. Disturbances in the energy fields may cause blockages. Over time these may manifest themselves as physical and emotional symptoms. 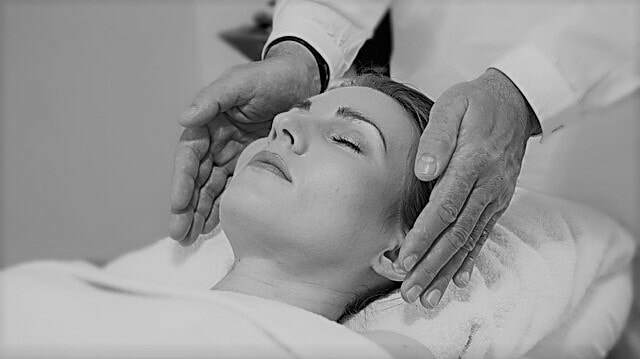 Reiki is a non-invasive therapy which can replenish energy, ease tension and dissolve energy blockages, giving a feeling of calm and well being. Reiki is not part of any religious belief system but is simply a way of generating energy flow to the body systems, increasing the vibrational frequency of the body. It may stimulate the healing process on both a physical and emotional level. Reiki can promote deep relaxation and give an inner peace. Applied regularly it can reduce the highs and lows of life and set you on a more harmonious pathway. Depression, Anxiety, Insomnia, Hormonal disturbances, Re balancing after child birth. Jean is a wonderfully caring person who has helped me on several occasions during stressful times. Being a mother of young twins I can easily become tired and depleted of energy which can very often affect my immune system. I feel that Reiki sessions have helped my well being. I am more relaxed and sleep more soundly following a treatment.